K-Seal provides a permanent head gasket repair for leaking and blown head gaskets. What are the Symptoms of a Blown Head Gasket? The final, most noticeable symptom is a big cloud of smoke pouring from the exhaust, and the engine gauge showing maximum temperature after a few minutes. Unfortunately, these symptoms often arrive when it is too late to sort the problem out. Taking this long to spot the problem will hit your wallet hard, because the only thing you can do is take the car to a mechanic and get a quote for replacing the gasket and associated engine damage. It’s not the cost of the new gasket that’s the problem – it’s the labor costs involved in stripping the engine. In some cases, the engine may have to be completely replaced because of excessive damage caused by prolonged heat exposure, thanks to the blown head gasket. How Much Will Head Gasket Repair Cost at a Workshop? Repairing a blown head gasket is any motorist’s worst nightmare. With the cost of head gasket repairs running into thousands ($1,000 to $1,900), it’s often easier and cheaper to scrap the vehicle than it is to have it repaired. Unfortunately, head gaskets are prime candidates for failure and breakage due to the intensity of the job they perform, and they do tend to cost a lot to repair and replace. K-Seal will permanently repair and fix most head gasket failures but failing to do so early can lead to a much costlier fix. The high costs involved generally stem from the amount of labor required to sort the problem out, rather than the cost of a replacement part, which is actually comparatively low. It’s an extremely time-consuming task because the engine head has to be removed and then replaced, and the more time a mechanic is forced to spend on that job rather than something else, the more they will charge you. 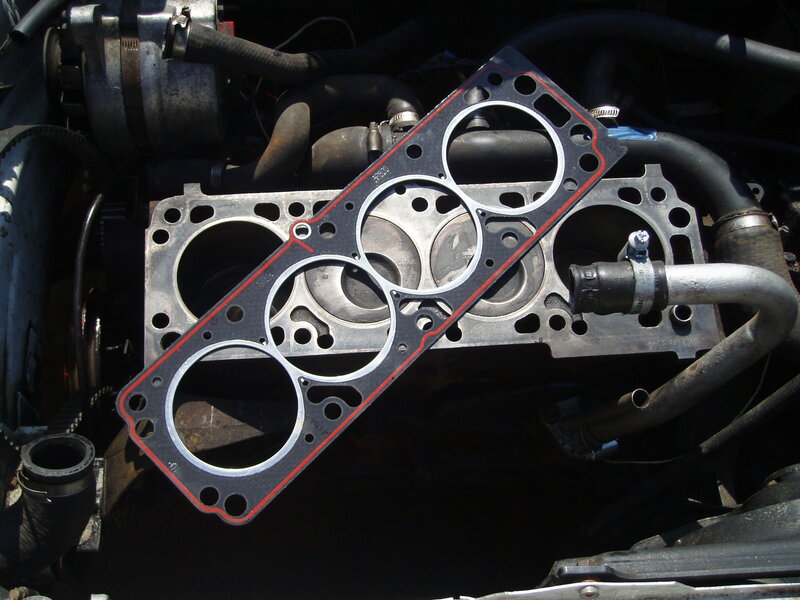 Head gasket repair costs will ultimately depend on the speed at which the problem is identified. The longer you wait before going to the workshop, the more you can expect to pay to get back on the road again. On that note, the workshop you choose will also depend on how much you can expect to pay – while there shouldn’t be too much difference in the prices you will be advised to pay, it will probably be worth your time getting a few quotes from local mechanics so you can be sure of getting the best deal. Can K-Seal Fix my Head Gasket? The best and most effective head gasket sealer is manufactured by K-Seal. All of the leading roadside repair and recovery organisations use K-Seal technology because it mixes successfully with all kinds of antifreeze and engine coolant in order to repair failures, preventing combustion gases escaping and coolant leaking into the engine cylinder. Tested independently by the engineering department of the University of Brighton to ensure that the products meet industry standards, K‑Seal, K‑Seal Ultimate and K‑Seal HD (designed for use in large vehicles such as HGVs and tractors) are the first choice of motorists on a global scale. Want to get hold of a bottle to fix your head gasket? Use our simple stockist search facility and get back on the road – fast. Generally, it is not recommended to add anything to your engine – because it’s such a complicated piece of machinery that works in a very precise way, even a small change to that could be disastrous for the entire thing. However, K-Seal head gasket sealant can be added to the coolant solution without damaging the engine at all and without leaving any debris floating in the solution once it has done its job. The K-Seal formula features a unique blend of chemical ingredients including ceramic microfibres and copper particles which acts to seal holes and imperfections in head gaskets. If coolant is leaking from the engine, the sealant will follow the coolant through the gap and close it up, with the microfibres and particles meshing together inside. This mesh, when it is exposed to both the gases within the combustion chamber and the heat of the engine, fixes together and seals the hole, restoring the gasket to full health and allowing it to continue doing its job in the face of high pressure and temperature. Because the particles are so small, they can only seal holes that are up to 0.635 mm in diameter, so if they manage to find their way down passages in the heater core or radiator, they won’t have any effect on them (Proven in independent university testing). This negates any possible chance that the sealant could inadvertently damage other parts of the engine. With this in mind, it is clear that there is no risk to the car engine as a whole, regardless of how big it is or the type of fuel it needs in order to run. It is, in fact, completely safe to use K-Seal in almost any vehicle engine, from motorcycles to commercial vehicles, so you don’t have to worry about suddenly being left without transport regardless of what you’re driving. A head gasket has one of the trickiest but most vital jobs within a car’s engine. It is the seal between the engine block and cylinder head, exposed to both high and low pressure levels in addition to a wide range of temperatures. It seals the combustion gases within the engine and keeps out the coolant that is designed to cool the engine cylinder. How Does a Head Gasket Work? A head gasket only works as long as the compression seal is intact – the fact that nothing can get past the seal ensures that the engine works perfectly. This is why a leak in that seal can be so devastating for the car’s performance in both the short and long-term. Why Do Head Gaskets Fail? If the combustion gases leak out, the engine’s performance drops. If the coolant leaks in, it won’t be going round the cooling system, meaning the engine will overheat. Although your head gasket could be the source of your engine troubles, it might not be the only component you need to take a look at. Select an engine part in the interactive diagram below to explore your engine and the important components that keep everything ticking over.